MYOKB: Clothespin Bag nears the finish line! 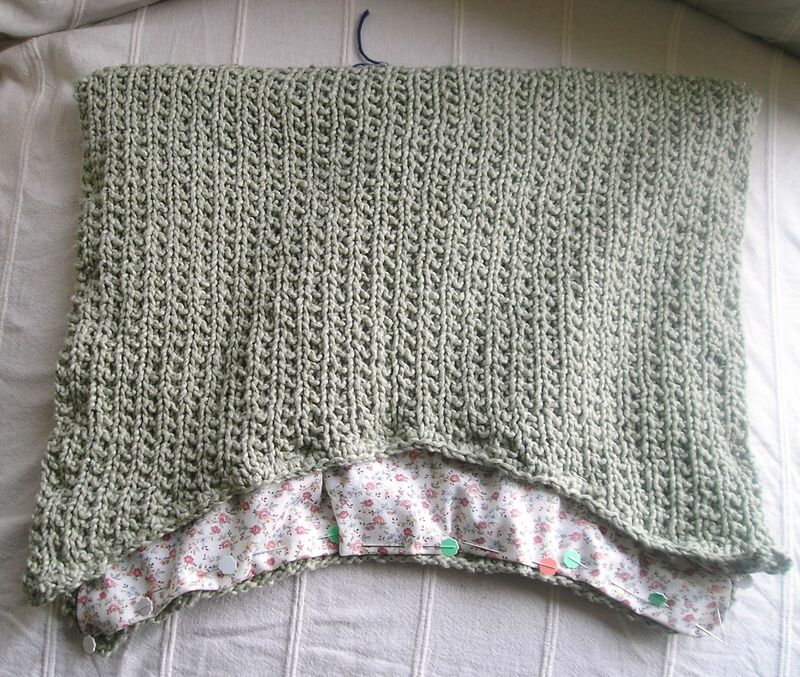 At last the knitting is finished, and the finishing begins! The original pattern calls for the knitted part to be machine-sewn together when the lining is attached, but machine-sewing the lining to the knitted piece and then crocheting the knitted sides together seemed so much easier. 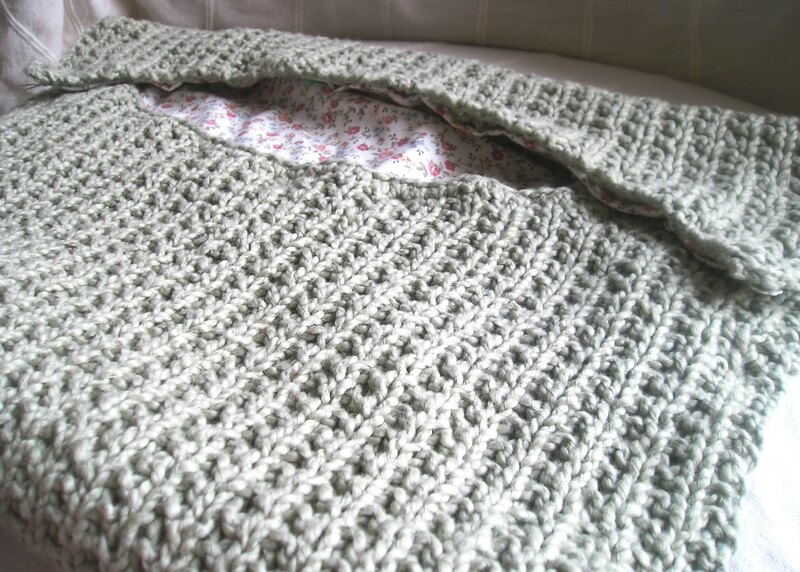 Crocheting is so much easier and faster, and allows me to really control the seaming. The navy blue cotton tie you see at the top of the fold marks the center where the hook of the hanger will go through. My friend Deborah, who is something of an expert seamstress, helped me with the lining and the machine sewing. I must admit, sewing machines still intimidate me a little bit. 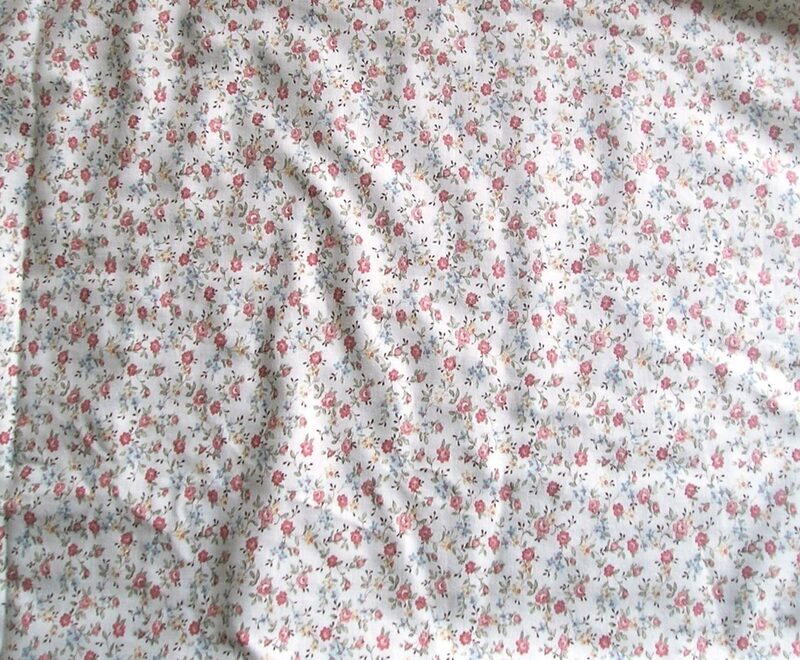 The fabric is some old calico-style print I bought on sale years ago — so long ago, in fact, that I can’t remember where or when. It matches well with the sage color of the yarn though. 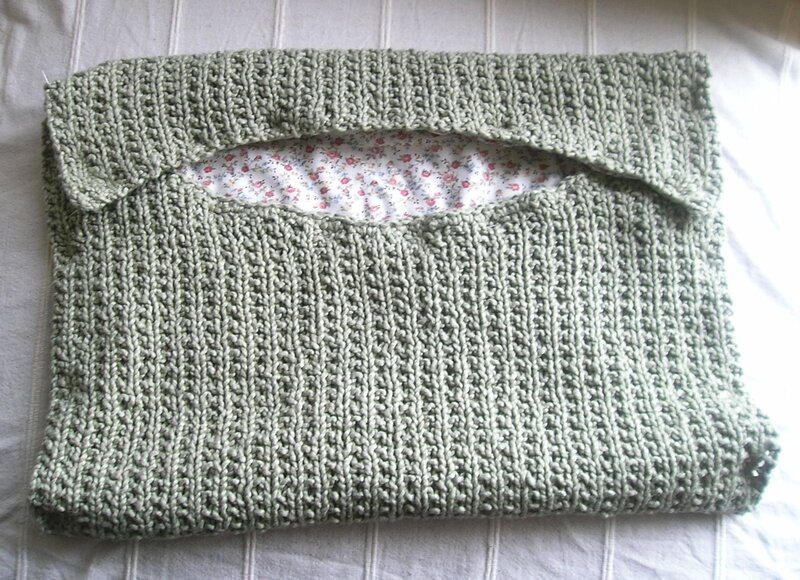 As soon as the lining is sewn on, I can begin using single crochet (size H hook) to bind the sides together. I have chosen a short, padded wooden hanger to hang the Clothespin Bag from. It should look quite sweet when done. Next Post MYOKB: Clothespin Bag Finished! At very last minute!